Lhasa Apso Puppies geboren 12 maart 2019! Voor mij staat een GEZONDE Lhasa Apso met een vrolijk karakter voorop! De Ouders zullen getest zijn door een ECVO oogarts op erfelijke oogafwijkingen. 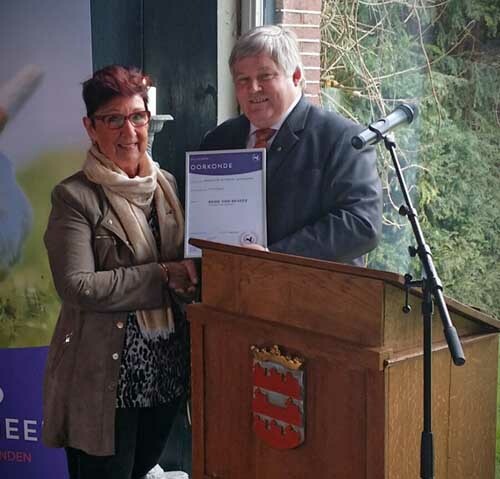 Lid van de rasvereniging Lhasa Apso Club Nederland erkend door Raad van Beheer. Ik ben onderscheiden met de Gouden ERE-SPELD der kynologie en lid van de Koninklijke Kennelcub Cynophilia. 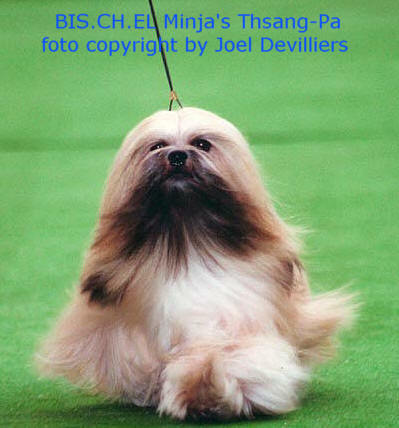 EL Minja's Lhasa Apso kennel is an outstanding with 40 years experience in breeding and Dogshows. Our dogs are held with great love and passion. We have bred more then 100 Champions. On our website you find Lhasa Apso dog breed information and lots of pictures. Sylvia the owner and breeder of EL Minja's have received many high personel awards for her contribution and efford too the breed and new fanciers/breeders. My kennel started in 70's. 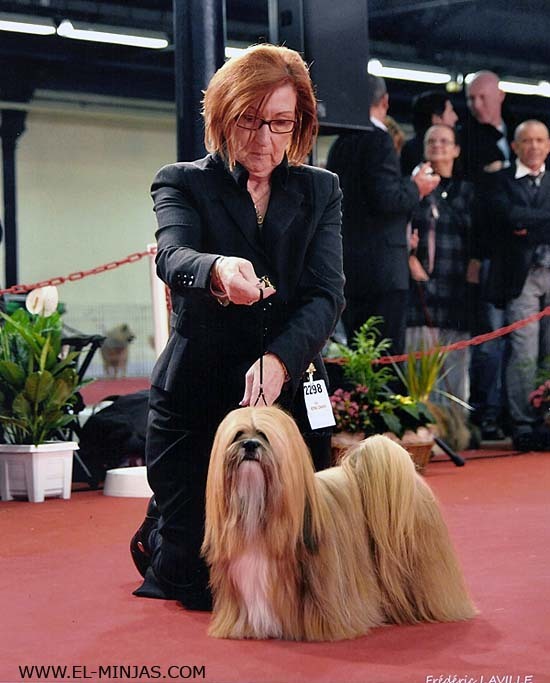 My first meeting with the Lhasa Apso breed was on a trip to England, visiting the famous Crufts Dog show at Earls Court. I fell immediately in love and knew I will have this breed in my live. I have shown at Crufts in 89 Earls Court Hall his name was Lingstoc Bruf my Lingstoc Midas won Best of Breed at Crufts in 1987. 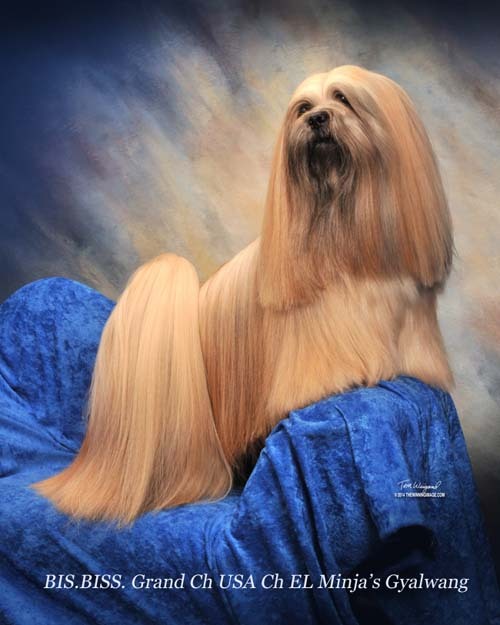 In the country I lived those days, there were just a few Lhasa Apso breeders. I waited till I was in the Netherlands and search for kennels. The attitude and temperament of these dogs is important, the nobility is like the Afghans, and really they are. The dog shows I like a lot and especially showing my breed. Interesting part for me and my husband Frank is dog breeding for the best quality within the breed standard. Important for me: the type, Ori�ntal expression in head, sound movement, soundness in conformation overall and good quality of coat. My husband likes the puppies very much and they all love him. The puppies play a lot with him and puppies knows him very well. Frank is a big support for me, he is a science animal geneticist and educated in veterinarian medicine, which helps me a great deal. The differences in my dogs are small because of my consistency breeding. 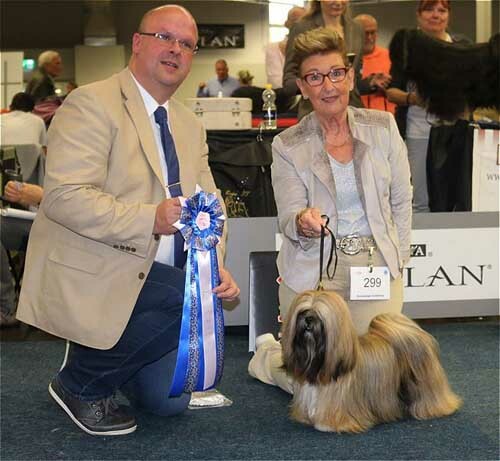 To refresh and keeping the diversity on level, I did used two Lhasa Apso males consisting some inheritance of the former vd Warwinckel bloodlines into my previous EL Minja�s line and submitting some new characteristics. The results are excellent and I'm very pleased with the results. The last years my focus is on more improving my quality and imported new dogs into my kennel. Very important was my choice to add Kalif this male with wonderful temperament and attitude had a wonderful career and is a tribute to my breeding program, in my kennel. 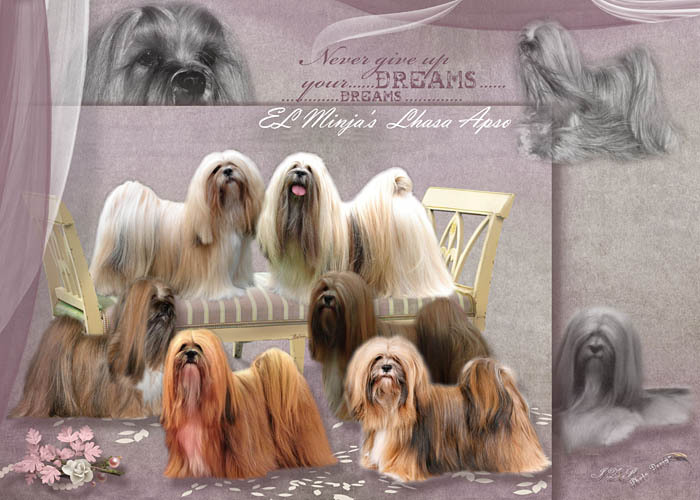 All about the Lhasa Apso dogs source by EL Minja's kennel, information and pictures about this Tibetan dog breed.